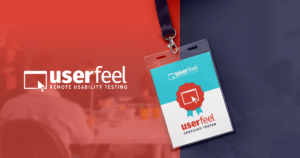 If you want to see the best usability testing tools in one place, then you’ll LOVE this guide. We have tested and reviewed 42+ free and paid tools. You can filter through the list to find the best user research (UX) testing tools. Looking for even for more insights and a quick way to compare tools? Check out our interactive dashboard to drill-down, filter, search, and sort through the list. Confusion exists for two reasons. When you have no choices. Or too many. Given the number of user experience (UX) testing tools available in the market today, this conundrum exists for all user experience professionals who are looking for the right project tools. But that’s not all: there’s a good amount of jargon to deal with too. Not many people have the time to sift through these industry buzzwords. 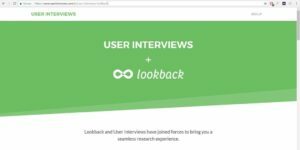 We’ll simplify that as far as possible and walk you through the process of understanding which user experience research tools you need and why you might need them. Is it possible to create a great product that offers much but which fails due to poor design that ignores the user experience? Take for example, the failure of Windows Vista which is often considered to be “Microsoft’s messiest OS release”. Not only did the Aero graphical interface require powerful PCs but a number of common applications and peripherals were unusable in Vista. Where the user experience makes you pull your hair out because you can’t seem to find or use all these brilliant features easily. We’ve all been there. We’re all end users, right? Is there any value in creating a product with great features if your customer can’t easily find them? Much less know how to use them? No. The point being made with the Windows Vista example is that the failure of a product largely depends on its design and usability. No matter how big the brand. If the user doesn’t like it, it’s doomed to fail. Simple as that. This is where simple unmoderated user surveys and moderated remote testing sessions can help. Experts can rarely predict how users will react to certain products. Your potential customers can. In some cases, they will. Politely or otherwise. It is also important to understand that the user experience research tools at your disposal are based on certain research methods. The number and type of tools that you use will depend on the complexity of the user experience. That’s something to keep in mind. The business world does not have the luxury of running user experience tests if there are no tangible benefits. The benefits can be better customer retention or improved revenue. In 2008, ESPN.com increased revenues by 35 percent after taking user experience suggestions from their orts fans. This is ideally what collecting user experience feedback is meant to accomplish. Nielsen Norman Group has published a far detailed explanation of different UX research methods. Since the focus of the this article is on tools, we won’t go into the same details. There are a number of tools that you can use in order to get user experience feedback. You should pick a tool based on the user experience research method that you would like to run and the goals of your test. UX testing is a broad topic and may include subtopics such as utility, usability, desirability, and brand experience. Which brings us to the aspect of collecting either qualitative or quantitative data. Initially, it’s best to begin testing by capturing qualitative feedback since this type of data helps in validating design assumptions with greater confidence. Quantitative data captured can shed light on whether the user experience is meeting internal metrics too. However, knowing which part of the experience causes your users the most problems might help you resolve that issue. Quantitative data, however, may not tell you why people liked the product to begin with. This is why collecting both qualitative and quantitative data can help you piece together the complete picture when it comes to understanding your customers. Before we get into looking at what each of these tools can offer, it’s good to know how users test your product. 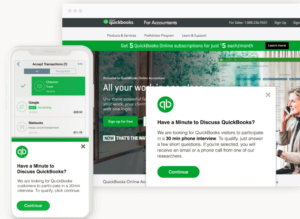 Prior to the evolution of remote user experience tools for research, users would be invited to test the product in person, with an incentive in mind. All that’s changed now given that these tests can be conducted remotely. Due to the proliferation of SaaS tools, user tests it is now possible to do both moderated & unmoderated user testing sessions on the web. Now, let’s look at a comprehensive list of tools that fall into these categories and that you can consider for your business. 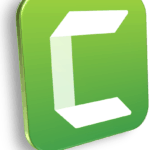 Camtasia is a recognized name in screen recording. This tool has a a 64-bit engine that speeds up the encoding and editing process. Among the new features that Camtasia 9 has, new pre-made animation options have been added while sharing projects with Mac devices has also been made possible. Interactivity is now also another feature that one can explore using this tool. 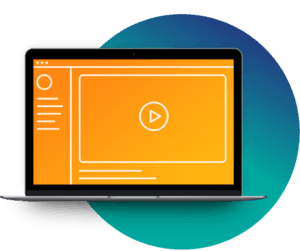 Though there is a lot of competition emerging as Chrome extensions, Camtasia remains highly popular as video editing software that will please both professional and amateur users. With a focus on remote moderated user research sessions, this tool manages and schedules the interviews that can be conducted in-person or remotely. Using the integration with with LookBack, the interviews can be recorded for further analysis. The primary use-case is to find participants that will provide useful user feedback. This is handled by an automated screening process. This built-in workflow process selects users based on their responses to selection criteria. No matter which user research method you choose, a survey or form tool will form an important part of the set of user experience research tools that you use. You are going to need it either during participant recruiting or in actual user experience tests. Surveymonkey clearly deserves the reputation it enjoys as an industry leader in the creation and distribution of online surveys. If you are looking for detailed insights through the method of unmoderated surveys, Surveymonkey is an easy choice. You can encourage collaboration by sharing both the surveys and the consequent reports with your teams. Running tests to evaluate the effectiveness of your surveys is another feature that is worth exploring. LuckyOrange focuses on failed conversions and gives you a detailed look into what went wrong. You can also evaluate how the people currently on your website found your site. This help you understand the sources of traffic.. Of course, Google Analytics is always there if one wants to gain a basic understanding of why customers leave your website. LuckyOrange goes beyond that and adds a level of precision to user analysis. If you don’t have the right participants that provide honest answers, user research session amounts to nothing. Ethn.io helps you recruit participants for your study while managing a battery of user experience tests seamlessly. Ethn.io provides embeddable widgets for your own website to recruit your customers. You can create screening questionnaires including advanced form logic. If a user is qualified, they can be presented with an option to participate in the study. If you are using unmoderated tests, the end-to-end process from participant recruiting, onboarding and payouts can be automated. However, ethn.io can only help with intercept, qualification and payouts. You will need to combine it with other tools to do the actual study. Online meeting softwares are useful in live moderated user testing sessions. Some of the key features that are extremely handy in a user testing session is the ability to record a session, screen sharing, and team collaboration. 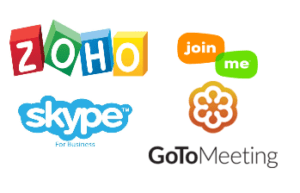 While tools such as GoToMeeting, Webex, Skype, and join.me have been popular for a number of years, most of them were not designed for user testing sessions. Some of the additional features you may want to look for is the integration with other tools such Trello, Slack, Video Editing and Annotation and Team Sharing. Newer tools such as Zoom, Appear.in, and Ziggeo when combined with other tools like Trello or Slack may offer the complete suite of functionality you need for user testing. 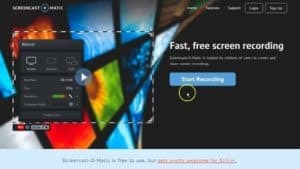 Screencast-O-Matic serves as a screen recorder and a video editor. With the ability to share and store your videos, this application fits the bill. The screen recorder allows you to add video from webcam along with audio narration. The video editor helps refine your videos. You can use animation effects, transitions, colors, fonts and sizes apart from images. These features will come in handy no matter what you use these videos for. Webinars, product demos or videos that help in sales and marketing are some of the way you can use Screencast-O-Matic. You can also store and organize your videos in the cloud. You can share videos on Twitter, Facebook, your local devices or your website. Not only is it affordable but very simple to use. 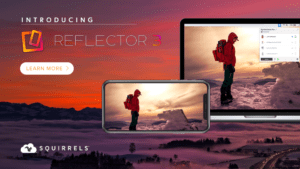 Reflector by Squirrels helps you mirror any screen (including mobile & tablet) to any device of your choice. It uses wireless technology, so there’s no need for cables or adapters. It will use MiraCast, Google Cast and AirPlay to connect many devices to mirror to a larger screen ( such as a PC or TV). Whether you wish to present, educate or inform, this tool will also help you record video. You can edit your video to add a personal touch. One interesting feature is that it allows you to stream device screens over YouTube real time. 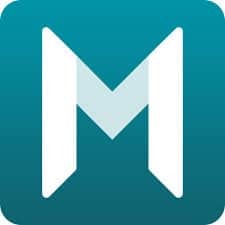 Reflector is an excellent & affordable choice for screen sharing and you can get started simply by installing their app. Morae helps you conduct remote moderated user testing. Right from selecting the research method to tabulating its results for your stakeholders. Some of its key features include camera recording, automated tasks management, and surveys. You can automate data analysis and share or compare notes in real time with your test moderators. If you need a tool that helps you capture screenshots, audio and video, then SnagIt fits the bill. But there’s more. You can create quick GIFs and edit images as well. SnagIt makes this as simple as possible. You can use the GIFs or images for several purposes ranging from sending simple email responses to updating training documentation or even sharing your work on social media. There’s an interesting feature that allows you to extract text from an image and which is worth mentioning. Even if it is a simple tool, it offers features that can solve many video creation or editing issues you might have. Loom help you create video screencasts and share it on the web. 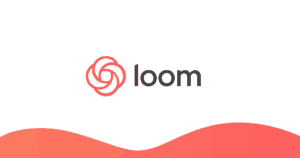 Offered as a Chrome extension, what makes Loom easy is the one-click install that can get you started immediately. . Loom integrates with Slack with makes sharing and collaboration easy. Given how simple this tool is, you can use it for a variety of purposes. This could be for sales, marketing, education, customer service and even for your personal needs. Loom is a simple tool but is still as handy as other professional recording and editing tools. Loom is freeware. Recording qualitative data tends to be uncoordinated and even chaotic. This is what Reframer seeks to change. It is a tool that helps moderators to capture details and share their observations with your team. This helps you discover themes and patterns in real time and reach conclusion on the path forward. There won’t be any need for daily summary reports as the insights captured are all in one place. With Reframer, you can streamline the qualitative feedback and reach a consensus quickly. Human eye naturally gets attracted to UI elements with high contrast elements. There is a also a pattern in which eye moves its focus across the screen ( top-to-bottom and left-to-right). Things such pupil dilation can indicate user interest. The goal of eye tracker studies is to identify which elements of your UI is getting the most attention. May be you run an eCommerce site and people are not adding enough products to the cart. You can run an eyesight study to identify if enough users are able to locate (and click on) “add to cart” button on your site. 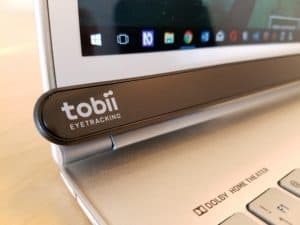 Tobii offers complete suite of products to conduct eye tracking studies. These include screen-based and wearable devices and software tools. While these may be great features, many small and medium sized business may not have an immediate need for them. 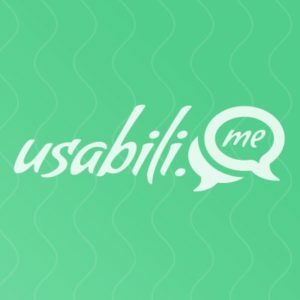 Usabili.me focuses on remote moderated research. 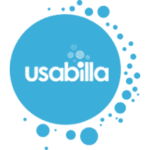 With Usabili, you use one tool to conduct end-to-end user research. You can schedule appointments with testers and capture feedback in the form of timestamped notes and screen recordings.Usabili.me allows you to share interview clips with other members of your team. Usabili.me is simple to use and simplifies the process of remote moderate research and is worth looking at. 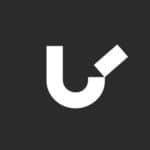 If you are looking for more than an entry level solution to user testing with a deep industry expertise (particularly in the UK market) WhatUsersDo.com offers many solutions at different price points. They also have a large panel of testers. You can design the tests and recruit your own users or take the help of the UX team at WhatUsersDo to handle everything for you. It takes only a few hours to get back testing results in the form of videos or surveys. UserBrain helps you carry out remote unmoderated testing. What is unique about them is the ability to get recurring user testing videos. All you need to start testing is a URL (any URL, including that of your competitor(s). Lookback can be integrated with moderated, unmoderated or in-person testing. You can invite collaborators and observers in moderated testing sessions and take live notes. Integration with prototyping tools is also available. You can capture every user interaction on video. Important metadata and the geolocation of the user is captured to understand the customer experience better. Still, you will have to recruit users on your own. Validately is a comprehensive solution for user research that includes testing platform, recruitment services and reporting. You can schedule testing sessions and confirm user participation. You can also do participant payouts. Its platform supports both moderated and unmoderated user testing. Taking live notes is possible by collaborators. Research reports can be generated and shared with team members. Videos of sessions can be recorded and short clips can also be created. You don’t have to worry about the logistics of user testing. UserZoom offers a wide range expertise in user experience research. Right from developing strategy to planning a study or even participant recruitment. You can test wireframes, prototypes, websites or apps. UserZoom supports in-person, remote unmoderated or moderated tests. It also focuses on automating the user testing experience for both scale and speed. UserZoom also trains teams to get the best out of their user experience studies. On the whole, it offers several solutions that go beyond using another user experience tool. UsersThink focuses on remote unmoderated testing of landing page conversions. All that you have to do is to submit a URL of your choice. 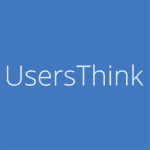 UsersThink will send it out to users located in the United States. Qualitative responses will be collated and forwarded to you within 24 hours. The goal is to discern what works and doesn’t on your landing page. You can test prototypes and mockups apart from live landing pages. This could include apps provided they do not require an installation and have a single URL. Apart from the user feedback, one will also receive a detailed report about user demographics. dScout helps you run comprehensive remote user tests on their platform. It offers a network of 100,000+ testers or you can invite your own testers. Also, capturing thoughts and recording videos of user testing sessions are also available. You might find patterns and themes in the user tests conducted. Especially if you collect qualitative data. 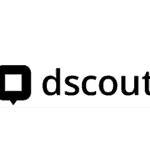 You can use dScout’s Diary tool to record your thoughts. Or opt for recording interview videos you conduct with users with a tool called Live. Recruit helps you find participants. PlayTestCloud focuses on obtaining user feedback for games. For this purpose, it’s wise to find gamers who can share their thoughts in comprehensible English. It doesn’t matter if your game is in early development, PlayTestCloud will distribute your game build for testing. After the completion of the playtest that you’ve requested for, deactivation of the game will follow. Prototypes, single or multiplayer games can all be tested. The results are available in the form of video. You can also conduct surveys with players to gain a better understanding of what works or doesn’t. Not only can you see where players touch the screen but also can hear their thoughts during each playtest. PlayTestCloud has been set up with the purpose of finding the right gamers for each game. 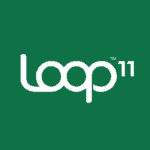 With Loop11 you can run usability tests in over 40 languages. Real-time reports can also be generated. Integration with wireframe and prototyping tools will help you run tests in that development stage. Apart from being able to create several tests, you can also watch recorded versions of sessions. You can either invite participants of your choice or Loop11 will source them for you. TryMyUI focuses on remote unmoderated usability testing. You can use your own testers or crowdsource them from the company site itself. So, remote testing can help you determine what your users find annoying or very likeable. With TryMyUI, you can create your own tests based on a unique strategy. This involves data analysis from recorded videos as well as written surveys. You can even carry out impression, wireframe and prototype tests as well. You can do tests such as navigation test, preference test, and five second tests. Participants provide feedback on clarity of designs and understand how easy (or difficult) it is to perform a task. UsabilityHub is a remote unmoderated tool and you have the option of using their respondent panel. Optimisation based on data collected from these tests can be insightful. 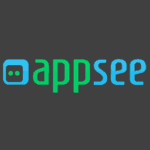 AppSee focuses on mobile app analytics gleaned from user behaviour. Measuring retention and conversion is another area of focus. How users navigate through an app or site is important too. A recording of every tap and swipe will leave businesses with evidence. What works and what does not with your app. AppSee also records touch heatmaps. So, you’ll be able to see why certain features aren’t used. Also, you can see which UI elements are more popular. As a result, you can get a clear picture of the elements that you can remove or not. Also, you can track funnel conversion rates and find out why users are leaving your app. As a whole, AppSee gives you choices on the users, operating systems and devices you’d like to test as well. Sending out mobile surveys to users of a product or app can give you more than useful usability data. Users can also offer their thoughts on brand perception and ease of use. This can point to a poor or excellent user experience, and which is why Surveys by UserZoom works well. 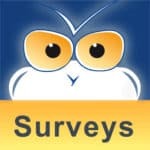 Surveys are one method by which we can understand what our users like or don’t. Even though recorded videos, heatmaps and quantitative data can also provide vital insights. This is an important research method that you must use when using UserZoom’s tools. To measure customer satisfaction and usability. Even though UserZoom has several user experience tools on offer. 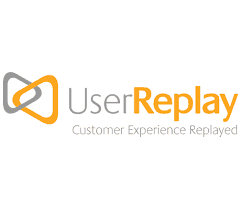 UserReplay can recover digital revenues using event based and customer feedback analytics. It offers tools that focus on tracking the user experience. UserReplay offers funnel and form analytics too. Poor UI elements or form field and controls issues stop customers from purchases. This can reveal a great deal about where your customers tend to leave your site. Taking action based on these insights can prevent dropping conversion rates. Capturing information about who your customers are is also possible. As a whole, UserReplay contributes to finding out why a desired percentage of conversions do not occur. MouseFlow uses several methods to capture data for user behavior analysis. With these insights, business customers can take clear action to improve user experience. With MouseFlow, you can not only view session replays but also heatmaps of your site’s visitors. The first can tell you a lot about which UI elements your user does not like or shows an affinity for. The latter reveals which part of your site users visit most. Tracking visitor behaviour as well as interaction with forms can be insightful. Increasing conversion rates and improving site usability are important benefits. You can also create custom surveys where users can reveal the issues they experience. 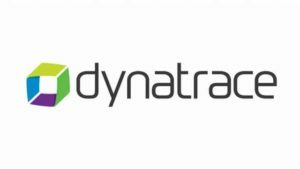 Dynatrace excels at root-cause analysis by monitoring your application at the transaction level. The Dynatrace UEM captures user interaction data on to measure whether users have a tolerable, frustrating or a satisfying experience. Whether you need information of the geographic region or the first or last page a user visits, you can analyse their application’s performance using Dynatrace UEM. Analysing the results for any user visits or even groups of them can sum up whether your application is usable. Some of the things Mixpanel excels at are cohort analysis, advanced segmentation, retroactive funnel analysis, and fantastic customer support. MixPanel seeks to help their customers understand their own users better. Answering questions on user activity is its first priority. Yet, it also aims at understanding customer retention trends. Tracking your conversion rate is possible by checking where users leave the site, MixPanel gathers important demographic information about customers. For analysis, the Automatic Insights tool sifts through data and offers valuable conclusions on consumer acquisition and retention. Clicktale intends to answer the most pressing user behavior questions you might have in mind. Whether desktop or mobile, the set of tools it offers first detects surface issues. Improving user experience and visitor intent are other goals that these tools meet. 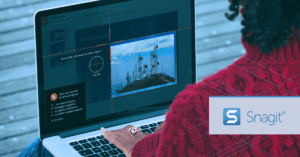 Features such as session replays, heatmaps, interaction sequences and visitors’ body language are available too to help you understand what works and what doesn’t. Clicktale also offers qualitative feedback. It is an all in the effort to optimise business sites for conversion. Ideas are aplenty. PickFu realises that while ideas can prove to be great, execution is a different matter altogether. 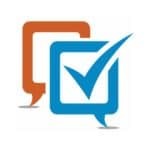 Using this tool, you can create polls to select the very best of these ideas. You receive valuable feedback along with respondent demographics in a matter of minutes using this tool. As a whole, finding user experience preferences using the PickFu polls is the easiest way by which one can vet their ideas. Some of the most popular use cases on PickFu are testing of book cover & title alternatives, app icons, ad copies, startup idea validations. UseItBetter is detailed web analytics & behavior tracking tool. 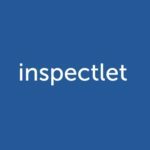 If you are running an established web business and have a need to track behaviors, funnels, and A/B testing, UseItBetter can be a viable option. Their much emphasized feature is autotracking which requires minimal configuration your part and reduces the tool adoption friction. However, if you are just starting out with your web presence, Google Analytics may be sufficient for most of the use cases. It does time some time to configure Google Analytics for many of its advanced features. 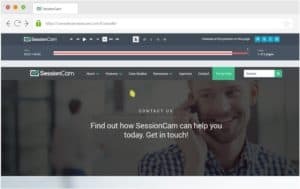 Rather than the traditional approach of test, refine and release, Intercom will you help offer assistance to your users in real-time using a chat widget embedded on your site. Unlike many standalone chat tools, Intercom helps you educate, support, and do sales & marketing all using their customer engagement platform. You can gain valuation user feedback via chat as well as get quantitative metrics about user behavior. However, Intercom is not meant to replace qualitative user testing approaches. 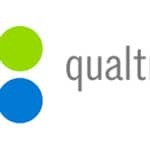 Qualtrics is the survey solution trusted by some of the largest organizations including Google. It offers a free account as well. The key differentiating factors are advanced survey logic and extensive API. If you need to know what is your customer do when they visit your site, then you need to use this tool. If offers session recording, heatmaps, and AB testing. They offer a generous free plan as well. 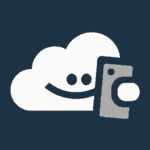 Similar to Inspectlet, SessionCam is a visitor recording tool. Some key differentiators includes integrations with more external tools. In addition, they also include something called ‘Struggle Score’ for each recording.